Here the driver had decided to attack the start of the climb up towards Heath. In preparation for this, the dark smoke suggests the fireman had already been busy. Behind the signal box the diverging line ran through Chesterfield Central station. 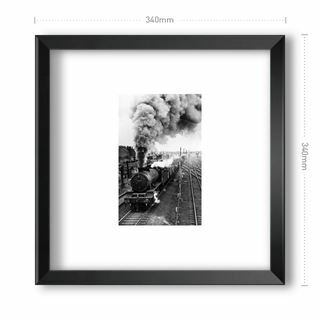 A dramatic picture showing the locomotive in full steam, pulling empty coal wagons as it passes Staveley South Junction signal box. (The picture has no given date, so please contact us via the web-site if you can provide any information as to this. 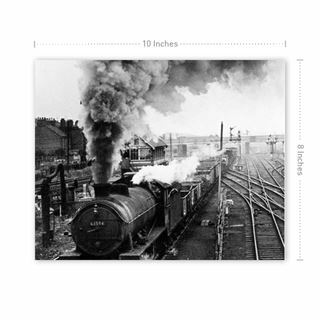 note:-It was not present on British locomotive railway lists after 1964). 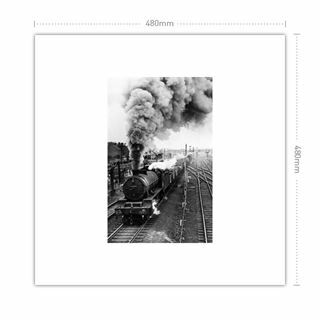 A Mr John Thickitt has responded with the following information:- During summer 1964, Staveley's 'O1' class locomotives frequently worked heavy-freight trains over the line between Sheffield and Retford (Notts.). From Staveley the route led northwards, then eastwards via Waleswood Curve (Yorks.). Sometimes engines' found themselves 'on shed' (i.e. between duties) at Immingham (Lincs.). 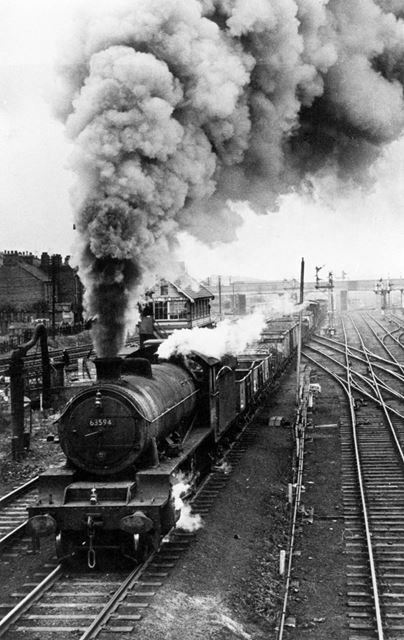 In February 1965 a Staveley 'O1' was working as far away as York. The O1s' continued to run over the line via Waleswood at least as late as May 1965. Several were active (i.e. were not dumped on the 'scrap line') during a Sunday visit to Staveley (G.C.) 'shed', in July 1965. 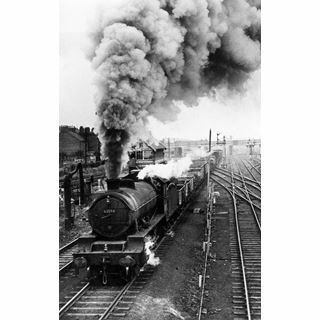 Locomotive 63594 ended her days in March, Cambridgeshire, in winter 1963-4. The originator of the image may be Colin Walker.